Just in case you were hiding under a rock today, a mountain lion managed to make its way down to Alameda de las Pulgas and Whipple and took refuge in a backyard. Several calls into the police department eventually led to the Department of Fish and Game making the decision to shoot the mountain lion in backyard of a personal residence. The mountain lion reportedly was stuck in between two fences in the backyard, which hampered the ability of the Department of Fish and Game to get a clear shot with a tranquilizer gun. This, combined with the fact that there was a hospital and park nearby, was enough for Fish and Game to make the decision to fire two shots at the mountain lion which fatally wounded the animal. This was not a small mountain lion. Reports from the scene put it at around 100 pounds. In following the social networking sites immediately thereafter, there were people who were extremely upset at the decision to shoot the mountain lion. Granted, none of those people who were upset about the shooting were in the actual situation and ultimately they are not the ones responsible if the animal managed to get away and injure someone else. Nonetheless, the outcry was substantial. 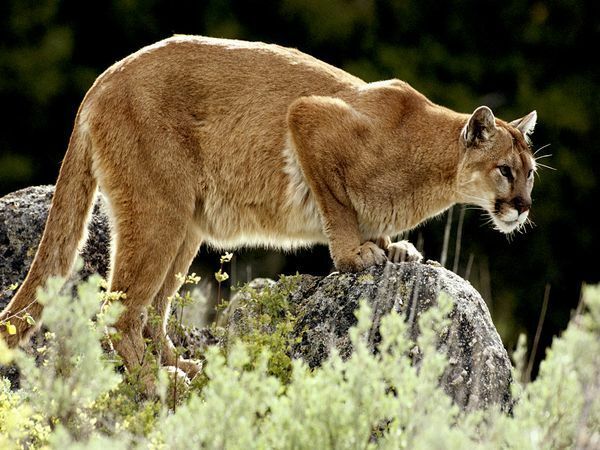 Mountain lions have always been a low level threat in Redwood City and San Carlos. In the early part of San Carlos history, they were routinely hunted and killed on the hills that make up Brittan Avenue and Melendy Drive. Obviously, some are still around. With some of our parks such as Eaton Park, Big Canyon Park and the Pulgas Reserve being the most obvious as places to be aware of your surroundings.